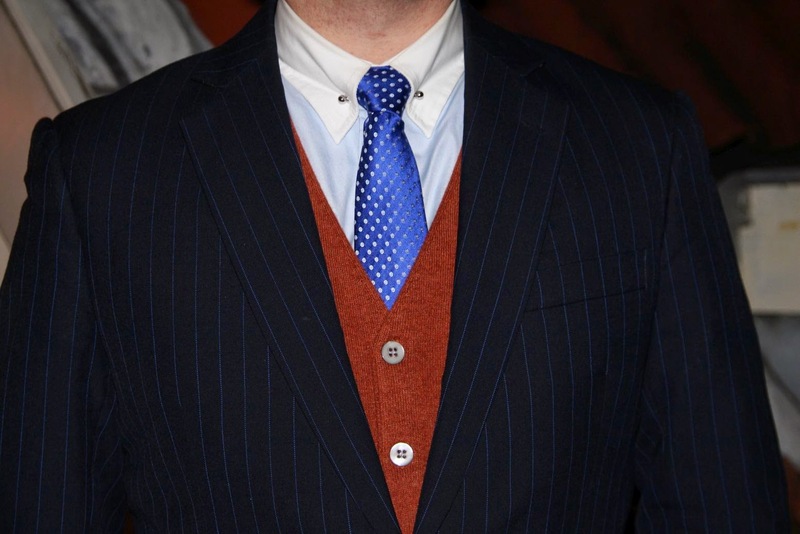 A Gentleman's Luxuries: Waistcoats will keep you stylish and warm! When autumn comes and it's starting to get cold outside you will have to dress to keep the chill out, but you also don't want your style to suffer because of this. There are several things you can do: put on an overcoat, change to a warmer undershirt, put on a waistcoat, or all of the above. Overcoats and undershirts have and will be covered in other articles, so here I would like to put the focus on the waistcoat. With respect to the amount of fabric making up the garment, the waistcoat is rather insignificant, so it often amazes me how big a difference putting on a waistcoat makes. A knitted waistcoat, or one made from tweed or other warm material will not only keep your upper body warm but will also keep you stylish as it gives a different dimension to your outfit. Waistcoats can either be part of a three piece suit and will then be of the same fabric and pattern as the suit. This will create a classic and clean look. Another great way of using the waistcoat is to let it be a contrast to the rest of your outfit. Here you can mix fabrics, textures and colours to create a more exciting outfit. 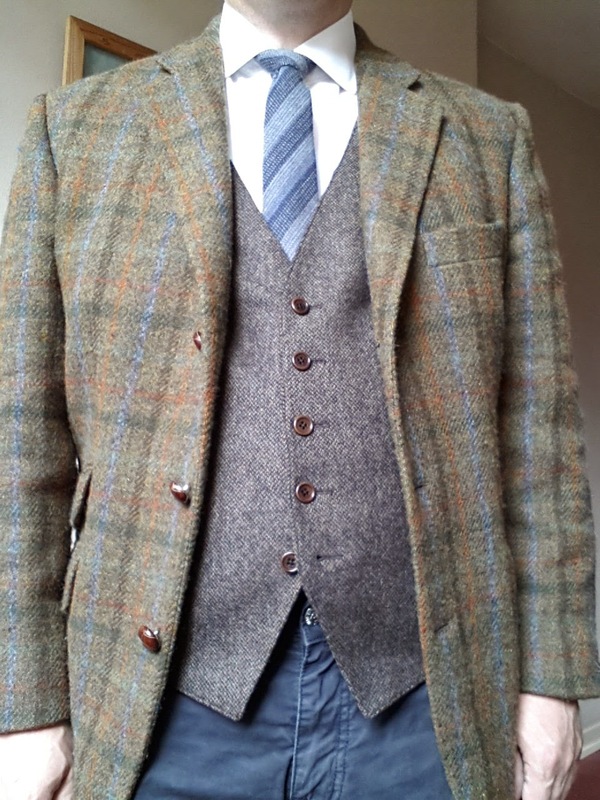 Below I've included some examples of how a waistcoat can be worn, for possible inspiration. with a navy suit. The waistcoat is by Suitsupply. works very well and the cashmere brings a lot of warmth. 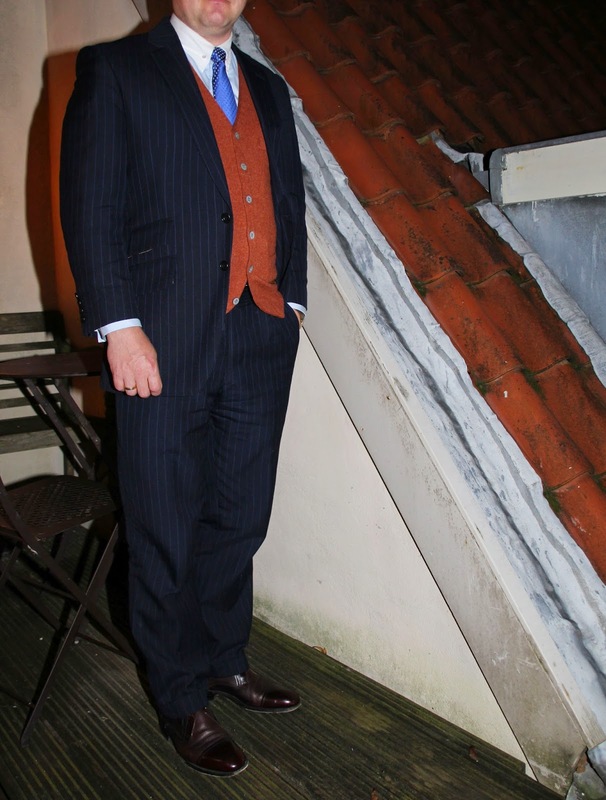 Three piece suit with matching waistcoat. Play around with the waistcoat to create great looking outfits. Perfect for the colder months of the year. With regards to your recent articles on shaving and shampoo, have you investigated any luxury towels or other toiletries?